I’m living in Europe alone and it takes time to get real friends. Most of my friends and family are also busy in the Philippines ,aside from the fact that we are also dealing with different timezones, so I ask myself how can I cope with all the challenges and difficulties that I encounter here? Last semester, we discussed about self-help or guide books. These are categorized as a form of literature that tells us what to do and empower us to rise among the difficulties, problems, or norms that we need to face. I ask a friend to bring Bianca Gonzalez-Intal’s book, Paano Ba ‘To? 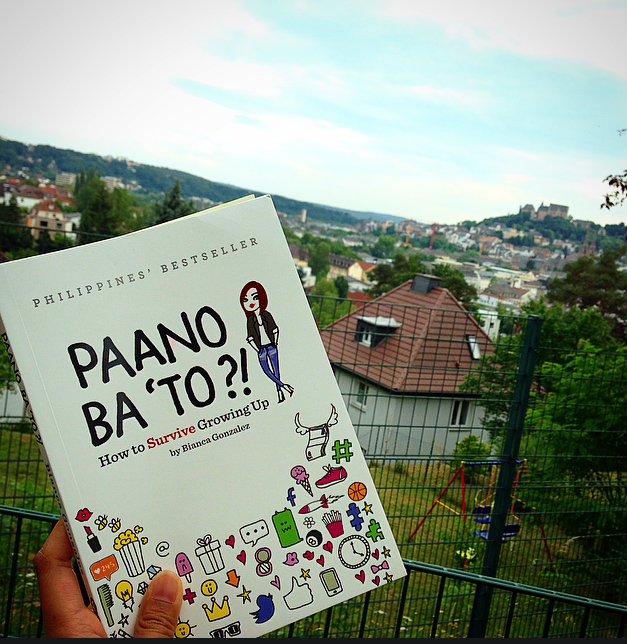 !, from the Philippines because I believe that this is the closest self-help book that will address our current Filipino generation. At first, I was really bothered by all the doodles in the book because it’s not really typical to have that in a new “normal” book. On the contrary when I was at the middle, I have this sudden realization that this book is so personal. The doodles make it more realistic, open, and relatable. It’s like Bianca’s invitation for us to take part and discuss some issues because we want to, need to or because it has been a long time that we’ve tried to forget or deny to face them. I appreciate how she opens and shares her life in the book because in our society today, where in everyone has something to say, being that open is indeed commendable. I really also like how she gets various perspectives about a certain issue: there are a lot of people who also share their experiences and experts who share their professional knowledge for more “objectivity”. I’m a “quote-collector” and I really like the idea that she incorporates a quote after each chapter. Maybe it’s better if it is perforated so we can just simply tear and post it on our bedroom’s wall. In terms of style, it’s easy to read and resembles like a magazine. However, I prefer the content to be succinct because there are some recurring statements that I feel should belong and should be already settled from the previous chapter. Nonetheless, reading this book gives a lot of refreshing insights to reflect upon.